Thanks for purchasing my book! To help you get started with soapmaking, I’d like to offer you 50% off the regular price of my online soapmaking class, Coming Clean: How to Make Toxin-Free Soap Without Breaking the Bank. There are videos, checklists, a downloadable plan for making your own soap mold, and discussion boards on every lecture, so you can ask questions! If you click that link, the coupon code should already be applied, but in case it’s not, just type BOOK into the coupon code box at checkout to get the course for $19, which is 50% off the regular price of $38! If you have any questions, feel free to contact me. P.S. 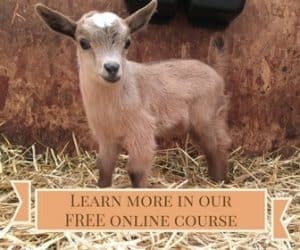 Soapmaking is covered in Homegrown and Handmade, as well as Raising Goats Naturally, but you don’t need those books to take the soapmaking class. 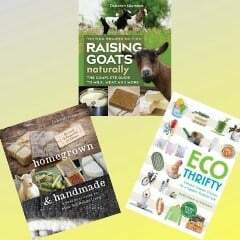 In fact, soapmaking is a great addition to your healthy lifestyle for those who purchased Ecothrifty.